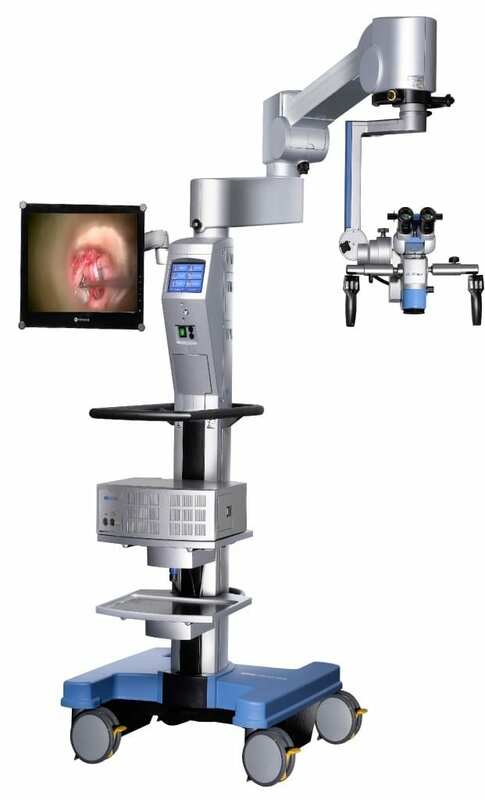 Haag-Streit ENT Surgical Microscopes are most noteworthy for their maneuverabilty. For laryngectomies, the illumination is almost at a zero degree angle. As a result this provides total illumination down to the bottom of the spectrum. If your OR staff has to wheel in extra monitors, camera carts, printer carts then this is the solution for you. As a result, everything can be mounted on the FS 2-23 eliminating all carts and monitors. A dream for the OR staff saving immense set up time. The High Resolution Hi-R 700 provides the best optics in the world. 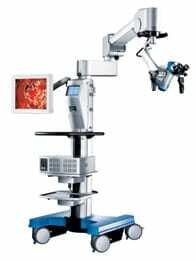 HS ALLEGRA 500 is the optimized operating microscope for all procedures that need perfect ergonomotion and optics but do not require the use of active assistance. Free-floating movements allow speed and flexibility in all direction without balancing. © 2019 CLA Medical. All rights reserved.